Home / Books / Music / ANGER, Alan. Live Wire. (London): Self published, 1977. Stapled A4 sheets. 22 pages, recto printed only. 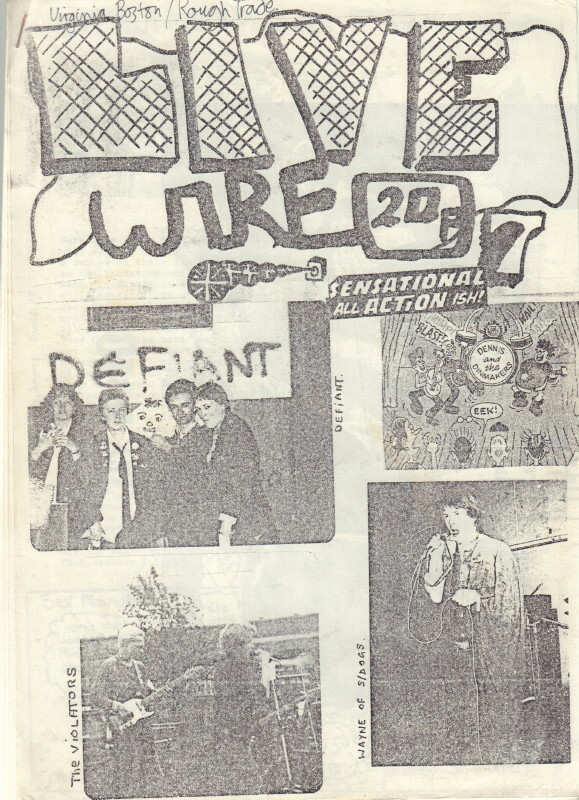 Issue seven of this important fanzine started by music journalist and lead vocalist of The Rowdies, Alan Anger. This issue includes articles on Defiant (of whom Anger was also the manager), the press, The Roxy, reviews and more. A very good copy. This copy once belonging to Virginia Boston at Rough Trade records, and author of one of the earliest punk books.